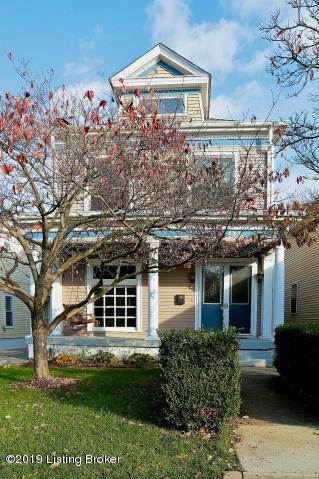 Clifton Home walking distance to all the greatness that Frankfort Avenue has to offer. Easy shot downtown or to several expressways for convenience of travel. Beautiful home that has been lovingly updated kitchen with stainless steel appliances, large windows, HVAC system, hardwood flooring, tall ceilings, 4 decorative fireplaces, and so much more. Step inside this 2 story home and be wowed by the front foyer. The tall ceilings open to the Living Room which is great spot for entertaining and flows to the Dining Room right off the Kitchen. On the backside of the first floor there is a private office area or playroom and that opens to the laundry room/utility area. The kitchen was completed in 2014 with new cabinets, ceramic tile flooring, subway walls, and breakfast island. Off the kitchen is rear access to the Deck with overhead Pergola and Full privacy fenced backyard. This space is great for summer cookouts, entertaining friends, or letting children play. Upstairs features large bedrooms, a walk-in closet and 2 full bathrooms - all great space for a growing family or visiting guests! The rear bedroom has it's own ensuite full bath and access from the rear hallway stairs to give it a more private feel (interior of the home). SchoolsClick map icons below to view information for schools near 131 N Clifton Ave Louisville, KY 40206. Listing provided courtesy of Younger Group Real Estate.